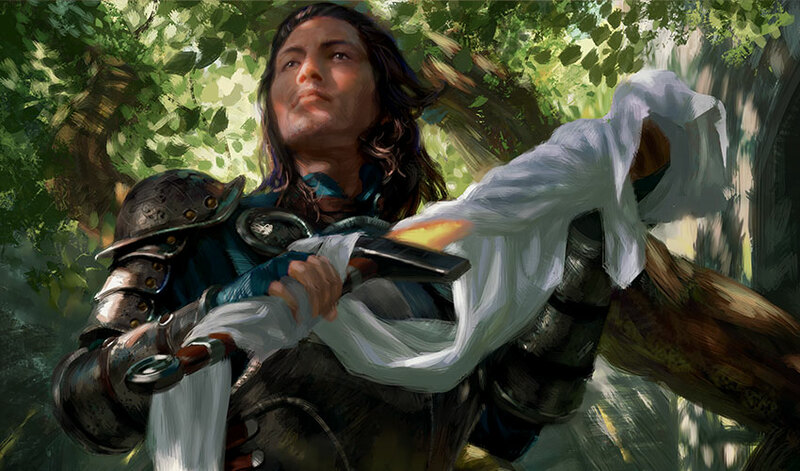 Grandmother was a formidable woman, once known as Yasova Dragonclaw of the Temur clan. Now that the title had been outlawed by the dragonlord, she was called First Mother to the Atarka tribespeople. The old woman stood amid a jumble of boulders beside the still-warm carcass of a dead broodling. But instead of examining the dragon, she was looking down on a young man whose shoulder bore a shallow cut from a dragon's claw. His blood oozed down over the shining mark of a ghostfire warrior that curved over his shoulder and down onto his chest. "You concealed your magic from us, Tae Jin. All our lives are forfeit if the dragons discover we have sheltered a ghostfire warrior. Tell me the truth, or I must kill you." Naiva supposed the ghostfire blade Tae Jin could call up using forbidden Jeskai magic might be a match even for Grandmother's fighting ability, maybe even for the entire hunting party, but the young man knelt with head humbly bowed. He made no threats. He offered no bluster. Yet he also did not tremble. He wasn't afraid of her, or of death. "My mother was a scribe who served Shu Yun before the fall. She survived Ojutai's purge and dedicated herself to saving what she could of the history and knowledge of the Jeskai Way. A few wanderers and scouts managed to escape and hide in the mountains. These people carry all that remains of the old way. My mother sent me into the wilderness to study with the man who became my master. He is the one who sent me to you. He taught me the way of the ghostfire blade so it would not be lost." "That you are a ghostfire warrior is an unpleasant surprise," said Grandmother. "Is this some kind of trap on the part of Ojutai? This is exactly the sort of roundabout trick a cunning and unscrupulous opponent might use to flush its prey out of hiding. His prey being me, and what he believes I know." "My master received a vision from the Spirit Dragon." "Ugin is dead." Naiva thought she would have to repeat herself forever. "Isn't that right, Grandmother?" "Go on, Tae Jin." Grandmother raised a hand to signal Naiva to silence. How the gesture grated at Naiva, dismissed so casually. Tae Jin didn't even look at her as he replied. "Yes, Ugin is dead, but my master received a vision nevertheless. The Spirit Dragon told him it was time to share the story told to our Jeskai ancestors." "A story I've never heard of or even suspected." Grandmother grunted to mark her displeasure. "Shu Yun liked his secrets—"
"He's not the only one," Naiva muttered, even knowing how childish and disrespectful she sounded. Baisya elbowed her with a disapproving hiss. Grandmother kept speaking as if she hadn't just been interrupted. "—so it's no surprise he kept Ugin's story from the rest of us." "The Jeskai Way hangs by a thread. My master says if the story is known in more than one place, then it is more likely to survive." "To survive for what purpose?" Naiva demanded. "The dragons rule us now. The old ways are just a corpse left out to be consumed by carrion eaters." "If we lose the past, we lose ourselves," scolded Grandmother. She brushed a hand along her mantle, made from the pelt of her beloved Anchin, and was about to say more when Fec called softly. The old orc had climbed atop a flat rock, his form visible as a darker shadow as the last daylight died. Stars shone overhead, but he gazed toward the horizon where no stars were visible. He lifted his face to the air and took in a deep inhalation. "There's a storm coming," he said. 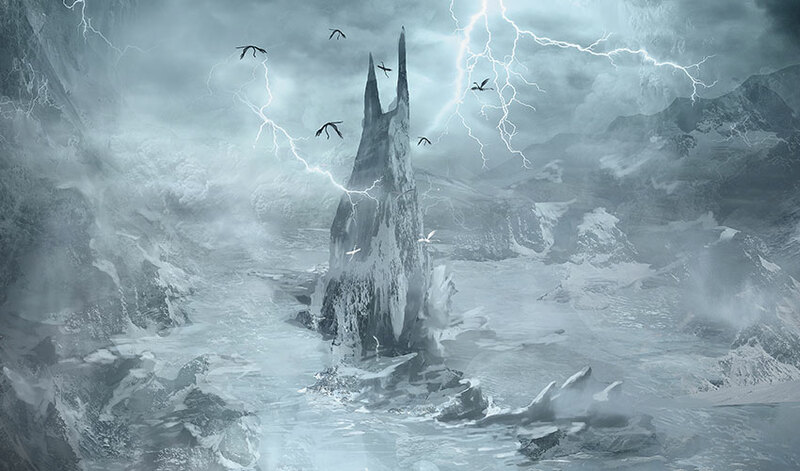 The clouds to the north had piled up in a portentous way over the rugged borderlands that Atarka considered the edge of her hunting territory. Flashes of lightning spanned the higher reaches, streaks of light that flashed and died. They were too far away to hear thunder. "It's a dragon tempest, and it's moving in fast," Fec added. "I know their scent and taste well." Grandmother frowned. "I don't like to remain so close to the dead dragons, but we can't weather a dragon tempest out on the open tundra. It will be even more dangerous at night. We'll shelter in the rocks until it passes. I'll examine the young man's wound once we're in the shelter. Can you walk?" Before Tae Jin could answer, Fec interrupted. "You already expended a great deal of strength healing him, First Mother. Too much more, and you'll harm yourself." "I can walk." Tae Jin gritted his teeth as he got to his feet. When Naiva took a step forward to assist him he waved her off, and Baishya took hold of her elbow as if she thought her twin couldn't take the hint. Grandmother assigned Mattak, Oiyan, and the quiet ainok Darka to sentry duty around the concealed entrance to the rock chamber. The rest had to bend over double to make their way through a low passageway cut with several chimney shafts. No dragon could enter, and the vents meant any fire breath would dissipate before reaching the central chamber. Deep in the rock, Rakhan kindled a fire. By its dim light, Grandmother examined the cut. "It's shallow and can heal on its own. Girls, guard our visitor." "Where are you going?" Baishya asked. "This is a rare chance for Fec and I to take the liver and hearts from the broodling now that it's belly is already cut open. Atarka need never know." "Don't you want my help, Grandmother?" Baishya asked just as Naiva said, "I'd like to see what the insides of a dragon look like!" "Not today, with a dragon tempest blowing in. You two stay here, under cover." "Yes, Grandmother," said Baishya obediently. Naiva fumed, exhaling sharply. She wanted to complain, but not in front of the stranger. Grandmother pinched her cheek. She didn't have a gentle touch, but the gesture was a sign of affection even though it hurt. "You can see to the lad's cut, Naiva." She went out with Fec, leaving Rakhan and Sorya to soak dried meat from their provisions in boiling water. Baishya gave Naiva a questioning look as if to say, "What is wrong with you?" Naiva turned away as Tae Jin settled on the ground, rubbing droplets of blood off his face. "Does it hurt?" she asked him. Baishya heated water steeped with petals of Heart of the Earth flowers over the fire in a small copper pot. She wrung out a damp cloth. Naiva snatched it from her but hesitated. Tae Jin's bare skin gleamed in the firelight. The thought of touching him, even with a cloth, made her breathe as if she was caught in a storm of beating wings. Tae Jin caught her eye and nodded to show it was acceptable to him to be tended by her. With the slightest wince, he pulled off his torn tunic, exposing the golden-brown skin and wiry muscles of his shoulders and chest. She cleared her throat self-consciously, aware of Bai's sly gaze on her shot through with mocking amusement. As if Bai wouldn't have felt a similar awkwardness! Yet it occurred to her that she and her twin never gossiped about the other young people and whether they were attractive. Bai turned her attention to washing the damp blood off the tunic in a trough cut into the rock. That a young man's well-built torso was a subject of no interest to her twin gave Naiva a lift of confidence. Lips primly closed, she carefully dabbed away the blood from the shallow cut, working her way down its length, which cut across the shining mark. His breathing never skipped in its even in and out, although, once or twice, his eyelids flickered. After a bit, she handed the now blood-stained cloth back to Baishya and squeezed the juice of freshly picked leaves onto the cut. "What herb is this? I don't know it from my own mountains." "We call it all-heal because it keeps wounds from festering and eases bruising," she said, and boldly went on. "How old were you when your mother sent you away?" "Did you ever see her again?" His grave expression made her wish she had asked him a question that got him to smile instead. "Of course, I miss her. She is an educated, accomplished woman. As I said, she is one of the few scribes who served Shu Yun to survive the fall. She always knew her duty was to send me into the wilderness. What of you?" "Our mother is dead. Atarka killed her for being a whisperer." "A whisperer? You used that word before. I don't know it." "She means a shaman, like your people have." 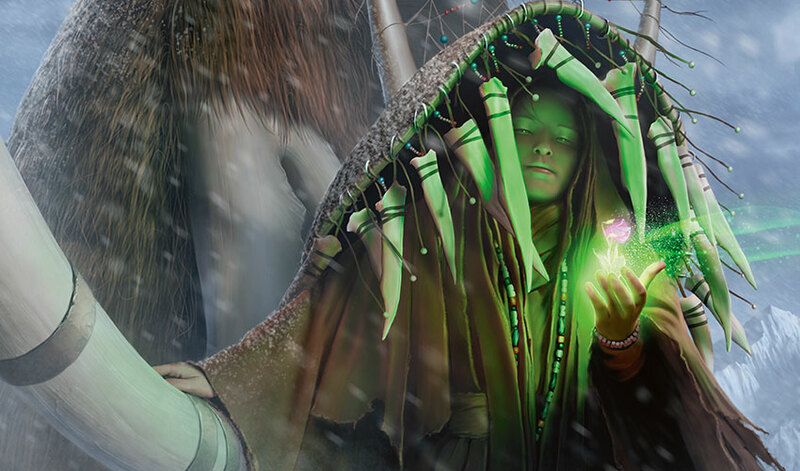 Baishya wedged an elbow into Naiva's ribs as a reminder that only Temur shamans knew the secret of whispering, speaking mind to mind with other shamans. Naiva knew this skill existed because the two girls shared everything, part of the bond of being twins. But evidently that was no longer true. He glanced between them, reading something in their expressions. "It's true the dragons fear our magic. They fear anything they think they cannot control or which does not belong to them." "Is it worth it?" Naiva asked, unable to keep a trace of bitterness from her voice. "Losing our mothers. Or anyone, really, just for the sake of keeping old traditions alive. The dragons rule us now. Maybe it's better to discard what they've forbidden." "Better for whom? Better for the dragonlords, certainly. What about the respect and duty we owe to our ancestors?" "Maybe it's best to let the dead go and concentrate on this day's hunt and this day's survival." He cast her a sidelong look then shook his head with a frown. She'd disappointed him, and she glared at the ground to hide her chagrin. She wanted him to think well of her, and now, she didn't know what to say. In a cool tone he said, "Do you think it would be best for Atarka Dragonlord to kill your sister, as she did your mother? Is that what you propose?" "Of course not! I just meant that everyone dies. Maybe we are trying too hard to keep alive the old ways when they would naturally die in the course of time," Naiva muttered. "What is natural about their death?" Tae Jin asked calmly. "The old ways, as you call them, did not die of old age or neglect on the part of the people who followed them. They have been deliberately hunted down and killed by the dragons, piece by piece, memory by memory. By keeping them alive, we defy the dragons rather than accept defeat. Maybe it is a small thing. Maybe none of it will matter when generations have passed. But maybe it will. But only if there is something left to be found, however small, however unremarkable. That is why my mother sent me into the wilderness." Baishya crouched on the other side of Tae Jin, offering him a needle and thread. "Yes, I understand, Tae Jin. I follow a similar path. What we keep alive is what sews us to the past. The future is unwritten. Do you want the dragonlords to be the sole arbiters of what comes to pass, Nai?" "Of course I don't. That's not what I meant." But in a way, it had been what her words had meant. How annoying to be shown up as wrong! Tae Jin reached for the needle. The shift of his arm and shoulder made him wince. Naiva leaned in and plucked the needle from his fingers. "Let the cut heal. I can repair your tunic." "We have much in common," Tae Jin said to Baishya. The two of them began cautiously to discuss their training, although it was clear they were both speaking obliquely, not willing to say too much about the secret lore of their respective traditions. And especially not in front of anyone who wasn't a shaman! Naiva loved the lore of hunting because it was straightforward. Skill and experience mattered but the goal was simple and the outcome clear. People must eat. Those who brought down game could feed others and thus be the most valued members of the tribe. But she didn't know how to say that when Baishya and Tae Jin had clearly delved into lore and magic that she knew nothing about and would never comprehend. The thought of that lack plagued her like rats gnawing on her insides. With mouth pressed tightly, she set to work to repair the tunic. If she kept her hands busy, then she did not have to resent her sister. It was quiet in the shelter with the fire crackling and a pot of broth simmering. Sorya and Rakhan were hauling water from the river for a cistern carved into the back of the chamber, working to make everything secure. "You have a neat hand at stitching, Naiva," Tae Jin said abruptly. It was warm by the fire; her cheeks felt scalded. "Every hunter must be able to repair every piece of their equipment." She ran the cloth through her hands. The fabric was smoother and thinner than any cloth she had ever touched before. "What is this made of? We use hides and felt." "Nothing as delicate as this. A few of the elders have wool cloaks they use for sleeping since it's hard for them to keep warm. We don't weave such cloaks ourselves. We trade for them from your people and the Dromoka." "It's woven from goats' wool." "No, a different sort of goat. A smaller, domesticated goat that lives alongside humanoids. They're hardy creatures who thrive in the mountains where I come from." "Are those mountains different from our mountains?" He grinned. "I have never traveled in your mountains, so I would not know." "How did you get here? I mean, how did you know the way? Did the dragon chase you the entire time? Or did it come after you later?" "Tae Jin will have to wait on those questions," said Grandmother. She came over, leaning on her spear, looking exhausted. Both girls sprang up at once to take hold of her arms, one on each side. They settled her on the mantle made from Anchin's pelt. She leaned back against the rock with a weary sigh. "Where is Fec?" Naiva asked. "Stashing the offal in sacks in the river, to hide the smell. My bones are old." She closed her eyes. For a terrifying moment Naiva thought she had fainted, but she was just resting. After a silence, she addressed the young man in her usual curt tone. "There is more to your story. I'll listen." He pulled on the repaired tunic. The damp spots where Baishya had washed out the blood spatter steamed in the fire's heat. The wind was picking up outside, heard as a plaintive moaning down the entry tunnel. Smoke drifted upward to the cracks in the rock chamber, and as he began to speak, it seemed to Naiva the tendrils of smoke twisted and coiled to the rhythm of his telling as if to bend into images of the tale itself, for voices and words carry a magic that allows listeners to see what they have not personally witnessed. I suffered through a miserable night washed by successive waves of sweating and shivering as the venom's potency slowly faded. No wonder four dragon skulls had joined that of our sister, Merrevia Sal, as adornments atop gates. They need only wound their target and then track it as it weakens. But I was made of sterner stuff, or perhaps only fortunate enough to receive but a scratch rather than a deeper injury where venom could reach my hearts. By dawn I felt sluggish, but at least I could extend and retract my claw without pain, although a numbness persisted in my foreleg. Watchfires had blazed all night far below. We had heard a distant buzz of activity as if we had shaken ants out of their nest. As the light changed, the great fires were doused. Horns blared with shrill eagerness. Nicol had spent all night in silent contemplation, perched at the apex of the mountain. At the sound of the horns, he chuckled softly as if he found it all terribly amusing. I wasn't amused at all. "We should go," I said. "They're not afraid of us." "They will soon learn to be afraid." He craned his neck, shifting to get a better look down the mountain. A hiss of fire steamed from his nostrils. "How odd. A lone traveler climbs toward us. What frail human would dare?" Curiosity piqued, I flew up out of the shadows to join him. The rising sun flooded my vision. A small shape trudged steadily upward, picking its way through a long scatter of rock that was the debris from an ancient eruption. As the biped drew closer it waved merrily and, with a curiously relaxed grin, kept climbing toward us. "Don't burn it," I whispered as Nicol lifted his head and leaned forward as if to leap upon the brave soul. 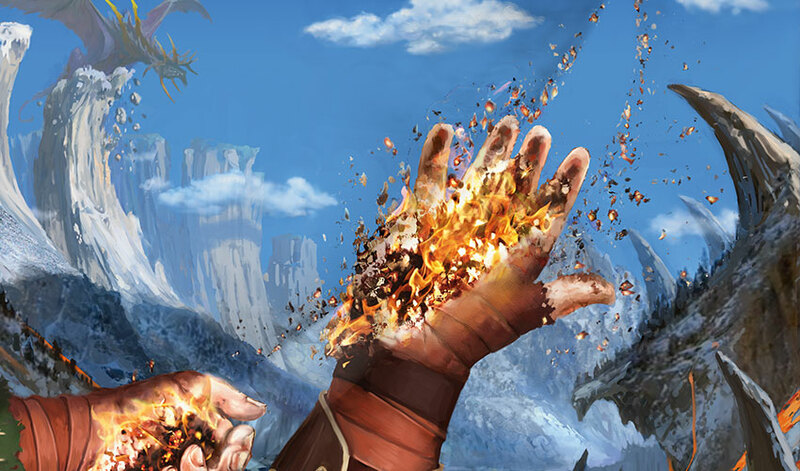 "Burning is so crude, Ugin. I'm developing subtler methods. Anyway, I don't think it is a true humanoid at all." "Brothers! Greetings to you." The biped called out. "I'm surprised to see you here. This place is no longer safe for our kind." "Chromium Rhuell?" I reared back in astonishment. Nicol settled on his haunches with a huff of annoyance. "How do you do that?" "Do what?" asked the biped, who appeared outwardly as a pregnant human except for the way his eyes shone like sapphires, refulgent with a dragon's power. "Change yourself into a human so convincingly." Nicol sniffed the air with a grimace. "You even smell like one. Rancid and credulous." "It's a trick I taught myself so I can walk among them." Nicol cast a glance at me to see how I would respond to this remarkable statement. "What have you observed, Brother?" I asked. "Humans are quite fascinating, and there is so much about them to know. Where should I start?" 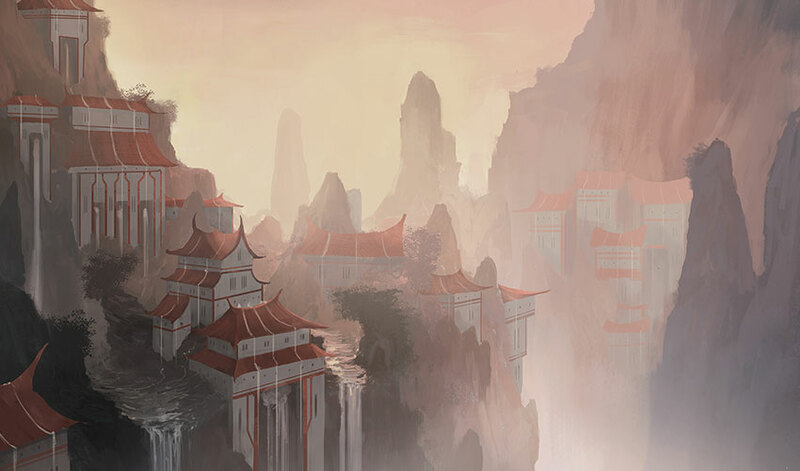 "With the ones who live here, in the shadow of our birth mountain," Nicol said. The human face wears expressions like clothing, casting emotion on and off at whim. With a frown, Rhuell shook his human head disapprovingly and tapped his fists together. "These humans are dragon killers. Their chief is an old man who hunted a dragon when young and still gloats of it endlessly while sitting on a chair made of its bones. He has decreed that any person who kills a dragon will join the ranks of his heirs." "The ones who may hope to rule as chief after he dies." Nicol gave a low rumble, as if the answer contented him. "I see. How convenient." I would have asked what he meant by saying it was "convenient," but Chromium Rhuell had already gone on. "That's not all. The chief claims that divine favor elevated him above his lowly subjects. Those who are touched by dragon's blood, or who drink or eat it, are considered holy and may live a life of ease and plenty while the less fortunate serve them as slaves." Nicol chuckled. His sly amusement troubled me. "Those who are strong or clever enough will stand atop those who are weak and stupid, will they not? These are the first humans I have seen who have not disgusted me with their feebleness and unctuous groveling." With a snarl of sparks, I turned on him. "Nicol! How can you speak so approvingly of people who murdered our sister? I thought you returned here to avenge her death." "Do you approve of vengeance now, Ugin? I thought you favored tedious bouts of meditation and Arcades's bland dominion." "I have done nothing to deserve your disdain. In truth, I don't like this tone of contempt from you. Especially considering I saved you from Vaevictis's jaws!" I expected him to snap back at me in a temper, but instead, he sunk his head between his forelegs and half closed his eyes. Someone who didn't know him well might think he was basking in the sun, relaxed and easy, bored by our exchange. But I had often seen him lounging about watching Arcades and the humans in just this manner, and a niggling apprehension clawed at my gut. "What do you propose to do now that you have walked among them and studied their ways, Brother Rhuell?" he asked in his most reasonable tone. "I intend to consult with Arcades. My recommendation is that we destroy the chief, his heirs, and his acolytes, burn all the temples, and salt the fields. We will need the cooperation of our siblings and cousins to manage it." "Such destruction seems more like Vaevictis's way of doing things and quite unlike you and your detached observation, Brother," said Nicol with a flicker of his muzzle that bent into a sneer. "If you have flown over this territory, you will know what I mean." In a soft beguiling voice, Nicol said, "Brother Rhuell, let us not be too hasty in raining down fire. Wouldn't you be the first to say there is something to be learned from them?" "To be learned from them? To be avoided is the truth of it! After the disappearance of three dragons I came to this place to find out what was going on. I saw the Chief's hunters trap and kill a small dragon, recently hatched and thus young and vulnerable. 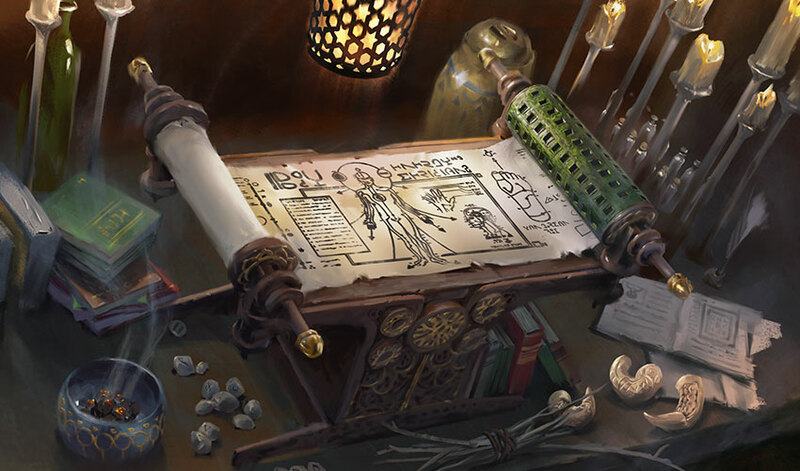 Besides the ballistae, whose bolts can pierce our scales, their magic workers have instilled sorceries into a venom to make it strong enough to poison even our flesh. The threat to all of us is dire, should they share this knowledge of how to slaughter us with other humanoids." Nicol blew a thread of smoke from his mouth with a sardonic smile. "So, you are content if we kill the innocent who toil as well as the prideful rulers?" "No, that isn't what I meant. Cut off the head and kill the monster. Destroy their chief's house and temples and force them to move away from our birth mountain and our cousins' bones, that's what I mean." "Such destruction will more likely cause the least of them to die. Those with weapons can still forge a path out of the destruction and cut their way to a new foothold elsewhere. Isn't that correct?" "I do not care where the survivors end up. They are sapient creatures and can manage their own destinies as long as they do not take their dragon-killing ways with them." "Are you saying the humans may kill and torment each other, just as long as they leave dragons alone?" 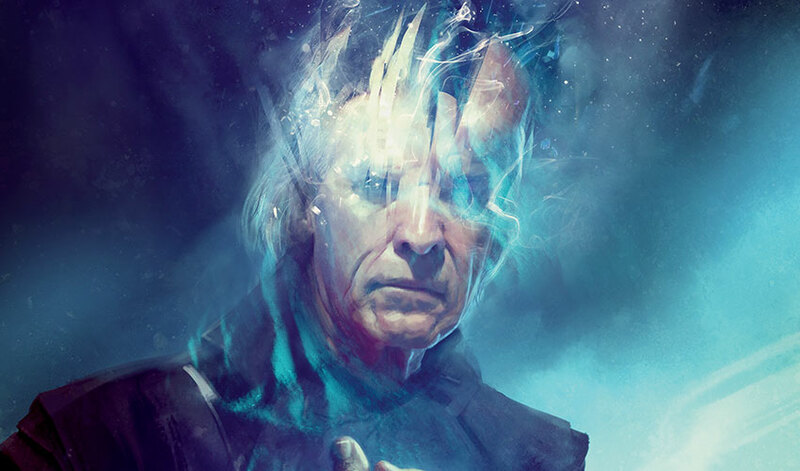 The human eyes flashed with a pulse of annoyance, a glimpse into Chromium Rhuell's hidden power. "You twist my words. I observe. I do not interfere with how they behave among themselves." "I confess, such a philosophy sounds a trifle hollow to me. One law for them, and a different law for us." "Nicol is right," I said hastily, foolishly attempting to placate both of them, "but that doesn't mean we should not consult with Arcades about what to do." But our elder brother's rage flared in a flash of staggeringly bright blue light. The air around us swirled. A strong gust shoved me backward like a blow. When the blinding-white haze faded, Chromium Rhuell in all his draconic magnificence loomed over us, shining like a mirror ablaze with light. His wings were spread wide and the flat crest of his face reflected the sun in my eyes so I could barely see. "I hear what you are doing, Nicol Bolas. You twist words to whatever shape you wish them to make, then twist them again to suit your wishes. You are the least of us, last fallen, not even a whole dragon but only half of one, bound as you are to Ugin. Do not ever again attempt to challenge me or you will regret it." In a clamorous rush of wings, he flew, catching an updraft off the heights and spiraling quickly up and up into the heavens until even our keen sight lost track of him. Nicol sighed on a long exhale of warmth. "Why did you provoke him?" I demanded. "You did twist his words." He said nothing, staring still at the heavens, shifting his gaze to the sun's sky-altering brilliance. Humans could not look upon the sun for long, or they would blind themselves, but we dragons can stare into its luminous splendor for as long as we wish. As Te Ju Ki had once told me, all creatures depend on the sun for life, but dragons are the only creatures who, like the sun, can burn without consuming themselves. 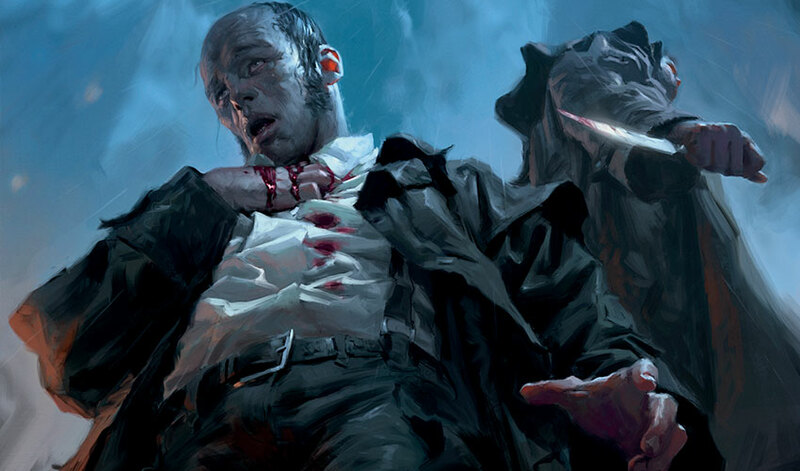 "Temples, heirs, and blood," murmured Nicol. With a thoughtful expression, he bent his head and scraped his horns on the ground to leave a mark, the sign of his presence here high upon the rocks of our birth mountain. Then he stretched up from his hind legs. 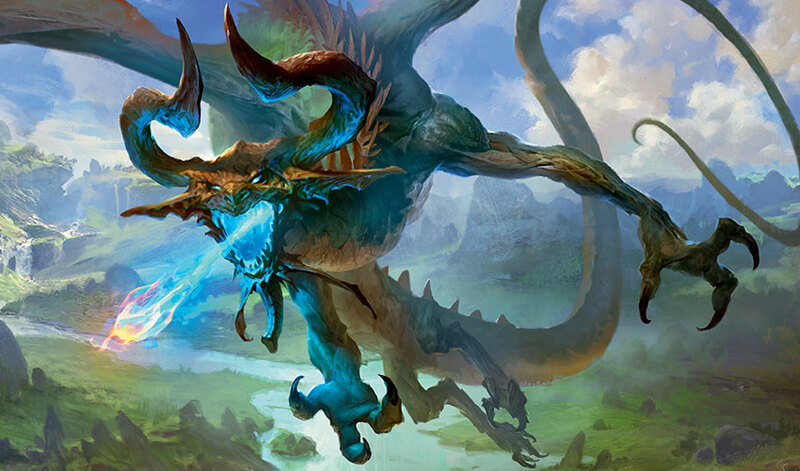 "Do you see, Ugin? Our enemies are coming. Let us go down to meet them." A large group of armed people had left the main settlement, led by a company of scale-clad warriors on horseback and a curtained sedan chair carried by six strapping young men. This small army was accompanied by mules harnessed to haul four ballistae mounted on wheels. The well-fed and well-clothed inhabitants stood on scaffolding to toss flower wreaths down over the warriors. The ill-clothed, thin, overworked people knelt on either side of the roadway, heads bowed, hands over their eyes, calling out praise in rote phrases: "May the mighty ones protect us" and "blood rules the bloodless." Singing a robust martial tune, the proud warriors strode along a road cut through the forest that led to the base of the mountain. Here, in a clearing on the lower slopes, a handsome log palisade enclosed a large rectangular area divided into three separate sections. The ballistae were drawn up outside the palisade. The rest of the army filed into the outermost section, passing under a gate carved in the shape of a dying dragon. On this large assembly ground, the foot soldiers formed into ranks and knelt, bowing with hands pressed over their faces. The mounted contingent rode under a second, more elaborately carved and painted gate depicting a man clad in blood holding a spear in one hand and a dragon's claw in the other. Here, grooms took the horses into the shelter of open-sided stables while the dismounted riders accompanied the curtained sedan chair on foot to the third and final gate. Here, they too also knelt and covered their faces in submission, all but two: a middle-aged man with a proud demeanor and a young woman with a scarred face and a fierce gaze. These two were each wearing a helmet adorned with a crest of dragon's teeth. They were allowed to cross under a gateway that was, to my horror, the curved spine of our sister held together with wire and leather cord. The innermost courtyard contained a beautiful temple, perfectly proportioned in an exact square, with a cunningly built stack of three roofs, one above the next, each painted with alternating eyes and suns. The sedan chair was carried up steps to the temple's forecourt and set down, after which the bearers immediately retreated to a small closed shed. The two attendants drew aside the curtains, and a stout, white-haired man clambered out with their assistance. He had a greedy expression and the thick, grasping hands of a man who has grown accustomed to taking whatever he wants. Beneath the wrinkles and age spots and double chin lay the vaguely familiar lineaments of the leader of the hunters who had killed Merrevia Sal. By human measure, it had happened a long time ago, for he had been a young, strong, hale man then. It was difficult to reconcile my memory of that forceful hunter with the blustering, impatient chief who excoriated the two younger people who attended on him because they did not seat him quickly enough on a padded couch set beneath the temple's portico. They suffered the abuse without blinking, only once exchanging a glance, and that glance held its own ripe tension like two tigers stalking the same prey. My bones hummed. Whispers chased through my head as the wind moaned over the peak. She is younger than you, and the chief likes her better because he thinks she's bolder and braver. She intends to outlast you and have you throttled when he dies. He doesn't trust you and never has. He considers you an upstart, unworthy, fickle, and he'll have one of his spies stab you in the back the moment he sees an opportunity. A cloud briefly covered the sun, shaking my mind loose from these vexed imaginings. Far below, a priestess whose eyes had been burned out ventured forward from the dark interior. She brought a cup carved from dragon bone. The cup held dragon's blood, congealed and musty, yet the chief drank it down with relish and offered the dregs to his two companions. More priestesses hastened out to wash his swollen feet and flushed face. "Prove your worth," he said to his companions. "Bring me the head of the dragon my ballista wounded." Bells rang and drums clapped. The warriors in the outer courtyard howled with a screech that, even from this distance, shivered horribly through my bones. Bones that these terrible humans wished to use to adorn their palaces and temples. "It's curious, isn't it?" said Nicol. "What's curious is why we're still here watching and haven't flown away after our brother." "Don't you find this all very illuminating? Those two who attend him so assiduously are two of his heirs." He chuckled and did not answer. "So where are the other two heirs?" "In the other dragon-crowned settlements, surely." "Exactly. This will be easy." "Have you not sorted out the weakness in their philosophy, Ugin? I'm disappointed in you." He gave a thundering roar and leaped into the sky, wings spread. He was so sure I would follow him, and I did. Chromium Rhuell might speak sensibly, but I had no reason to trust him more than I trusted Nicol. He wasn't my twin, after all, just a wingbeat sibling who wasn't any too respectful of Nicol and me regardless. That comment about us two being "the least of the fallen" had stung me too, even if it had been meant for my twin. We flew toward the farthest flung heir's settlement. Messengers had been sent out from the chief's home compound during the night. When Nicol caught sight of a youth running at a steady pace in the same direction we were heading, he swooped down, caught up the youth in his claws and, as the young human screamed and struggled, bit off his head. With casual disregard, he dropped the body into the forest. "Nicol! Was it necessary to take that innocent youth's life?" "How is your claw, Ugin? Does it still hurt? Is your flesh still numb? Or would you like the entire countryside to be raised against us when these messengers reach them?" "We can just fly away." "And leave them to kill other dragons? To spread their customs and knowledge to other humanoids? I think not. I am doing what is best for all of us. Isn't that what you want, too?" It was hard to argue with my foreleg throbbing. Built along a lakeside, the most distant settlement boasted its own miniature version of the square temple, a modest chief's longhouse adorned with a dragon skull, and a palisade separating the inner compounds of the favored from the humble huts of the lowly. The shore of the lake was lined with racks and racks of drying fish set out in the sun, vats of fish guts and salt fermenting with a reek that rose into the heavens. The palisade was so new, the scars of its building still tore through the earth, revealing fragile roots and plump pale worms. This heir had a single ballista placed by the settlement's gate, facing the road as if he were more concerned with human enemies than dragon flights. I flew out over the lake, not wanting to get too close to the weapon's venom-tipped bolts. Nicol swept a wide circle around the settlement and its fields, making sure everyone knew he was there. When horns blew and drums pounded out the alert, a young man dressed in a crested helmet strode out of the chief's longhouse. He was tall and handsome, his arms and neck adorned with twisted gold jewelry that shone like trapped sunlight. Like him, his warriors were clad in armor made of dragon scales. These scales had once belonged to the dragon he had killed, I was sure: the scales shimmered with delicate green tones under the sunlight, giving the warriors a luminous beauty they had stolen from one of us. There was something anticipatory and yet indecisive in the dragon-killer's manner as he stared up at Nicol as Nicol had once stared at the sun. What was Nicol waiting for? What was his plan? His slow circling glide had such a strangely hypnotic effect that as I hovered on a high updraft, I could not tear my eyes from the curious tableau, wondering what was going to happen. The drums fell silent and the horns quieted. A breeze teased its way through the branches. Lake water lapped the shore with short sighs. My bones hummed. Whispers chased in my head in a voice that sounded less and less like the twisted mutterings of a cursed wind and more and more like Nicol. The old chief has lived long past his prime. Who is he to demand obedience when he can no longer even cast a spear accurately or with enough force to kill a deer, much less a man, much less a dragon? He has raised three to be his favored heirs while his own firstborn son he neglects, even though that worthy son has killed a dragon at long last after so many years being mocked for his insufficiencies. The gods granted their favor to the old man, everyone agrees. That favor ought to pass on to his son, shouldn't it? Yet he has been pushed to the farthest edge of the chiefdom, forced to rule over fishermen and live amid the stink. What if such a worthy son has something better than a dragon's skull as his trophy? What if he has dragons at his command? Killing a dragon is a bold hunter's deed, of course, not to be scorned. But for a dragon to serve a human? Now that is the standard of a leader. It could be your measure. If you march against the other heirs. If you defeat them, and kill your father. A dragon could respect such a person as that, could he not? I was slow to understand. Te Ju Ki's calm and measured teachings had found a home in my heart; they made sense to me. Even when the young man mobilized his warriors and gave a mighty speech to them about the portent of the dragons and how they had shown their favor by flying overhead and not burning the settlement or killing anyone, I did not understand. Even when they marched out with brisk purpose, he mounted on a splendid steed with his scale-clad officers beside him, I did not understand. I was convinced they were going to join the others, to make common cause against us, even when such a course of action made no sense. We two dragons were there, right in front of them. Again and again the chief's son gestured toward Nicol, who remained aloft keeping a cautious eye upon the ballista but with his attention focused mostly upon the chief's son. As the last of the foot soldiers passed under the gate, Nicol dropped down to the longhouse. He raked his claws along its ridge beam, marking it, and roared, just once, like a challenge or a benediction. A great answering cheer rose from the ranks. Singing their violent songs, they marched away toward the central settlement. Nicol flew out to me where I had remained hanging back, over the lake. "Now we return to the birth mountain," he said. "Oh, Ugin, do you still not understand? Humans are riddled with hate and envy and fear and greed. They will easily do our bidding. You just have to know where to stick your claw in to get the response you want." The chief's son marched to the central settlement, now without its garrison of fearsome warriors, and he killed the chief's supporters and installed himself on the throne. Meanwhile Nicol roosted atop the birth mountain and with his presence there lured the two heirs each with their band of warriors higher and higher up the slopes, round and around until the two factions came face to face upon a rugged field of ancient lava. There they fought bitterly amid the sharp stones, the middle-aged man against the young woman. While the two armies struggled, Nicol flew down to the unguarded temple and burned it and its acolytes to the ground. But he left the bewildered chief alive amid the charred bones and beams. He picked up the old man almost tenderly in his claws and flew with him to the fourth and final settlement where the chief's second wife had set up as one of his heirs after she, too, had killed a dragon. She was the mage who had first ensorcelled venom. When Nicol gently deposited the old man alone and unprotected in her courtyard, she strode out. She was an impressive woman with the shine of intelligence in her face. Her braided hair, wrapped atop her head, was wreathed with pearls and gems. Armed attendants knelt before the old chief, who even in his disheveled and terrified state barked orders at her, demanding a bath and food and fresh clothing appropriate to his exalted station. My bones hummed. The whispers grew louder and louder. He wrested the secret of the venom from you. He shared it with others and stole what was your right: to succeed him as chief because you had the cunning and the intelligence, not like the other heirs, who merely benefited from your brilliance. You are the worthy one. Yet those two usurpers who sit by his side and flatter him think they deserve the dragon killer's banner, while his first wife's puling son grabs for what belongs to you. She snapped her fingers. Her attendants jumped up and formed a ring around him, with their weapons pointing not out, to protect him, but in, to threaten him. "What treachery is this?" he cried. "You owe everything to me. I raised you from the swamp grass hut where you were born. I allowed you to learn from my cleverest mages. You will bow before me as is fitting." She stalked forward and pressed the tip of her dragon claw staff against his face until, trembling, he fell to his knees before her. "You old fool! I raised myself despite you using me as if I were your slave. You stole what should be mine by right." She stabbed him once, twice, and thrice, and had his bloody, bloated body thrown into the stinking refuse of a latrine. "We march!" she cried to her people. "The unworthy and the usurpers will all bow before me!" You, my Jeskai students, have not heard of the dragon-killers' war. It happened a long time ago and in a place unknown to you. No one wrote its history because writing did not yet exist, and those who survived told a different tale than the one I am telling you now. So the truth of those events was lost, even to their descendants. As for me, I crouched atop the birth mountain shocked by what I witnessed because I did not know what to do or why the humans behaved so violently and horribly to each other. The fighting raged in a storm of destruction until only the wife and the son remained, entrenched behind higher walls, the remnants of the other two heirs' armies split between them. The fields went untended. People began to starve. There was nothing I could do, or at least that's what I kept thinking, my thoughts running in circles after circles after circles. Until the night, I woke from a troubled sleep to find Nicol gone. I flew on his trail, for all dragons are able to follow the ember-strewn wake left by our kind. It seemed his voice caught in my mind as if he was still speaking to me. 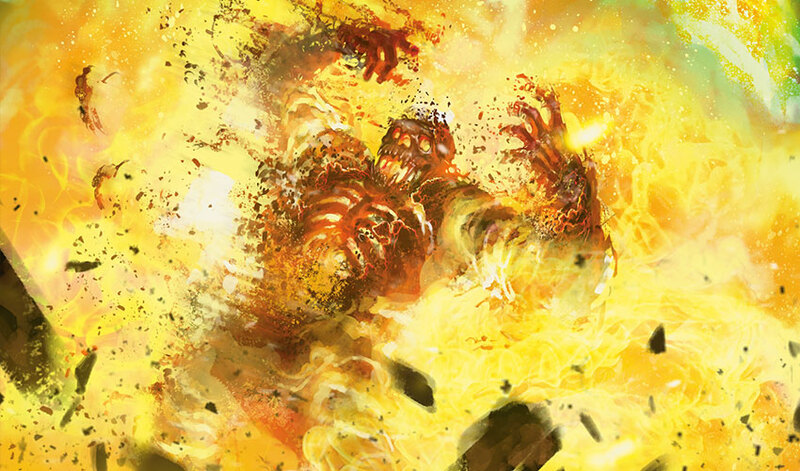 "Come witness the end, Ugin. Come witness the beginning." In the central settlement, in the grand courtyard in front of the chief's longhouse, torches burned. Nicol perched atop the longhouse with his eyes glittering like gems against the night. It was a strange piece of magic that he could stretch atop the roof beam without his great weight collapsing the structure, but we dragons have many strands of magic woven into our being. In the courtyard, the chief's son and the chief's second wife faced each other. How they had come there, and why they were both unarmed, I could not say, but they looked so handsome together, like the fitting end to a romantic tale. "This day is the wedding of the heirs of the dragon killer, he who first slew one of the dread beasts." Who spoke I did not know. My ears were clouded, and my heart was dark with foreboding. "Let you clasp hands with your oath." She extended her arms; he met hers; their fingers intertwined. "Let your oath be sealed with blood." They released each other. The torchlight twisted shadow across the scene as they each took the dragon claw of their reign, she the staff and he a long knife. Each plunged their claw into the breast of the other, and they fell together and, soaked in each other's blood, they died. "They have made the proper sacrifice," said the voice. It was Nicol, rising from the roof beam, his horns gleaming and his eyes shining with a glamor that dizzied me. "For now, you understand the truth of dragon's blood. I rule you now. I am your true leader. Bow before me." A vast and fearful sigh passed through the assembly. People sank to their knees, pressing hands against faces. "What are you doing?" I cried. "This isn't what you learned from Arcades!" "Of course it's what I learned from Arcades," he said, turning to look at me. Deep in his coruscating gaze I caught a glimpse of the brothers with the wagon, back in Arcades's orderly realm, working in amity. That peace had been shattered by the abrupt upwelling of a long-buried grudge because Nicol had stuck a claw of doubt and envy into a vulnerable heart. The man, so stricken, had succumbed to a whisper that roused the worst in him. "Ugin, you know I am right," my twin said softly, beguilingly, his voice so gentle a pressure, so persuasive, so credible in its argument. "Now that we grasp the magic, there is nothing that will stop us from building a greater chiefdom, from spreading our rule, from getting our revenge on Vaevictis and his surly brothers, from putting our siblings in their place. Least of the fallen! They'll see. We'll show them, won't we? We'll no longer be least. They'll bow before us. You know it's what you want. The power can be ours. It will be ours." But power wasn't what I wanted. He didn't understand me at all. He didn't even care to understand me. All he cared about was getting what he wanted, no matter the cost to those around him. No matter the cost to me. Ah! What a pain flowered in my hearts, a cascade of searing shock and betrayal. It's bad enough that he had so callously, so gleefully, torn through the minds of these humans to get what he wanted from them. I understood that now, but he intended to violate my mind, too. He meant to rouse the worst in me, because he had succumbed to the worst in himself, and he wanted to drag me down with him. No, it was worse even than that. He wanted to use me for his own ends, because he had never truly cared for me at all. The bond we shared. The trust we held in each other. It was empty, broken, false. A harsh, hot spark burst in my heart and in my head. My flesh burned as if incinerated and charred. A scouring wind whirled down from inside and outside the heavens and dragged me into a terrifying storm of darkness where I could not even draw breath and felt my lungs being crushed by a weight of dread. A force twisted my body as if trying to turn me inside out. For an instant, my mind went blank, unseeing, unfeeling, and then with a wrench, I came back to myself. To my astonishment, I found myself floating above a featureless sea, so flat and still I could see my own reflection in the water: my horns, my scales, my eyes like twin sparks burning bright. I drifted in bewilderment, rended by the grief of losing the brother I had trusted and stupefied by the sheer jarring astonishment of being torn from the only place I had never known and flung into the space between the planes. For I understood then that Te Ju Ki had taught me the truth, that she had seen this place in a vision. She was physically frail, tied to the soil of her home, but her mind could range where her body and magic could not go. She thought no one could cross between worlds, but now I was there, walking between the planes she had told me about. With that thought like an anchor, I fell as a shooting star falls: helplessly, burning up, obliterated by its passage. When I woke again in my body, I stood here, awake, afresh, alive, on Tarkir. And I felt the land welcome me, as if I had finally come home. Nicol had been right after all: I had witnessed the end, and this was my new beginning. Tae Jin broke off. Thunder boomed overhead, trembling through the rock. The wind's whine had picked up to a higher, more frantic pitch. "And then what happened?" Naiva demanded. Grandmother raised a hand to remind her that Fec, Rakhan, and Sorya were sleeping so they could take a later watch. In a low voice, she said, "You may go on with the story, Tae Jin." He shook his head. "That's all I know. The scroll I memorized ends there." Naiva groaned. Baishya pressed her hands against her mouth. Grandmother nodded with her usual calm, firelight flickering on her face so she seemed a spirit from the past fading into a measureless gloom. "So. It seems we are being called to Ugin's grave to finish the story." "What is left to tell?" asked Tae Jin. "Is the story not about how the Spirit Dragon came to Tarkir?" 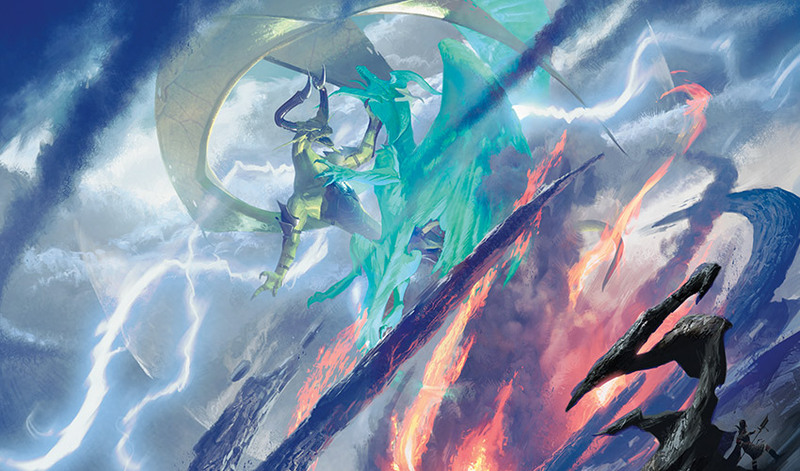 "Eighteen years ago, I witnessed a battle in the sky that ended with the death of Ugin. That battle ended the Tarkir I knew. That battle set all the clans on a new path, a new beginning. There was another dragon in the storm that day." "There must have been many dragons. The tempests birth dragons." "This was no tempest-born dragon. This dragon vanished in a flash of golden light, like a second sun. It did not fly away. It was simply there, and then not there." Naiva had never seen Grandmother look so grave, and she was a woman who rarely smiled. "Not impossible if there are other planes and a few powerful individuals who can walk between those planes, passing from one world to the next as we might cross a stream on stepping stones." "It's so hard to believe it could be true," said Baishya softly. "I certainly did not believe it when the knowledge was first revealed to me," said Grandmother with a stern look for Naiva. "I made a terrible mistake at that time. A voice spoke to me, telling me I acted for the good of the clans. But I was merely a tool used by a power greater than myself. 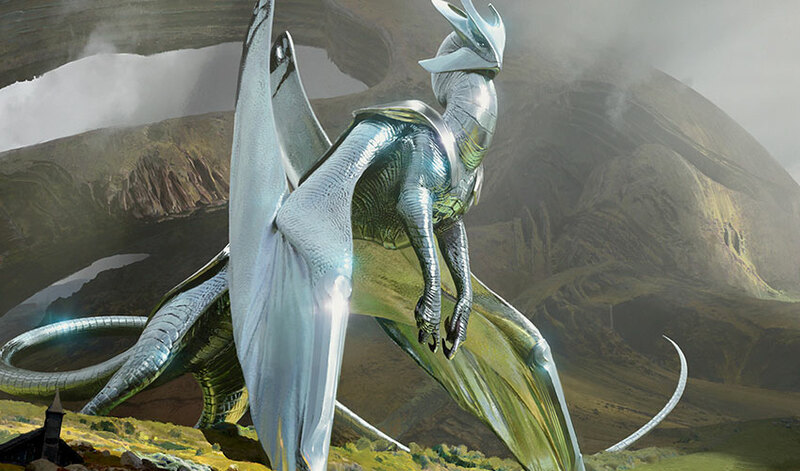 That dragon, called Bolas, killed Ugin. I saw the Spirit Dragon's body in the chasm. I heard his last breath, felt the cessation of his spirit. But the hedrons cast by a Planeswalker named Sarkhan Vol held a magic I did not understand then and am only coming to comprehend. Some essence of Ugin still survives, however frail and faint it may be. It can be no coincidence that Ugin is struggling to reach us now. The visions are a warning." "A warning against what?" Naiva asked. Tae Jin echoed, "Against what, Yasova Dragonclaw? 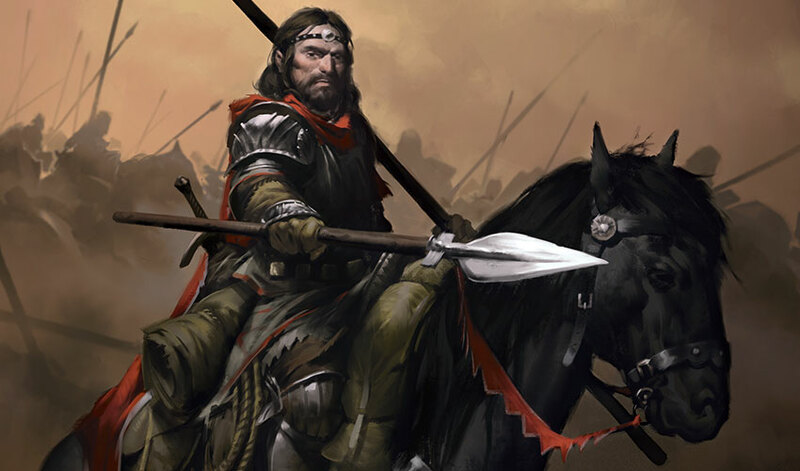 The worst already happened when the dragonlords outlawed our clans and our khans and our knowledge of the ancestors." "Maybe that is not the worst that can happen," said Grandmother. Thunder crashed again, and this time muffled howls and roars echoed back. A shudder rolled through the ground as if a huge weight had just dropped onto the earth. Fec opened his eyes and sat up. He shook awake Rakhan and Sorya, and they all grabbed their weapons. A scuff sounded from the tunnel. Naiva grabbed her spear and settled into a crouch by the opening. The click of a ptarmigan's call announced the presence of one of their own. She stepped back as Mattak emerged into the chamber with a knife in hand. "First Mother, you'd best come see."